If you are interested in how emerging learning strategies such as games can be used to motivate and reinforce key skills, this workshop is for you. For the past few years, Sharon and Karl have been co-presenting on game design all around the country. 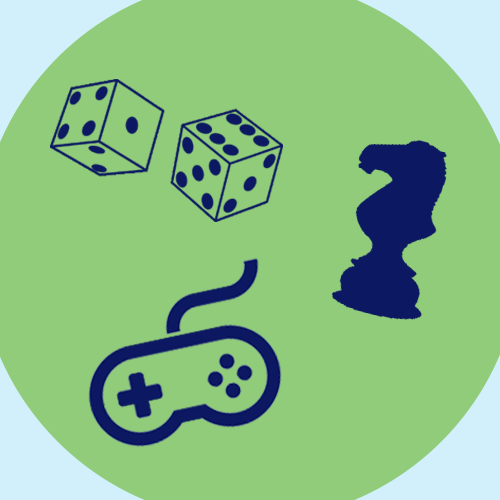 In their workshop, you will explore a variety of games to identify what makes them playable, and then you’ll design your own learning games using a step-by-step approach. 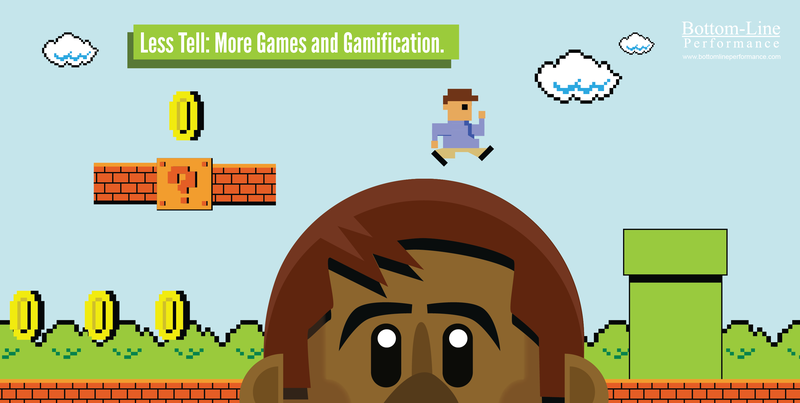 You will leave this session with an understanding of how games are powerful tools for crafting learning solutions that engage, motivate and reinforce key skills and techniques. BLP’s Marketing Director, Steven Boller, will showcase Drive, the newest app in the Knowledge Guru family at the Strategic Solutions learning stage Wednesday morning. 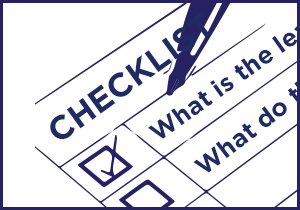 Sales reps need a way to ramp up on their products, competitors, and industry landscape fast. 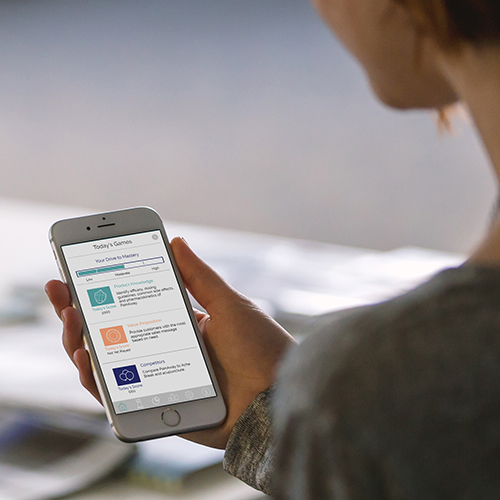 With Drive, reps can increase their confidence and competence in just a few minutes a day on their smartphones. This session will cover the challenges faced by today’s sales reps and demonstrate how the Knowledge Guru platform uses game-based learning, adaptive learning, and microlearning to reinforce training after product launches and enable coaching at scale. In this session, you will learn how Alaska Airlines taught flight attendants about their devices on their devices. You’ll learn about device operation, flight attendant apps, and compliance policies. Learn how Alaska leveraged a mobile ecosystem to push forth a test case for an all-mobile eLearning initiative, under a strict timeline with much at stake, and the clever technology workarounds that were used to ensure a quality user experience in a short turnaround time. If you have employees who work remotely and struggle to access training, this session is for you. Life’s daily distractions make it difficult for learners to remember information they need on the job. 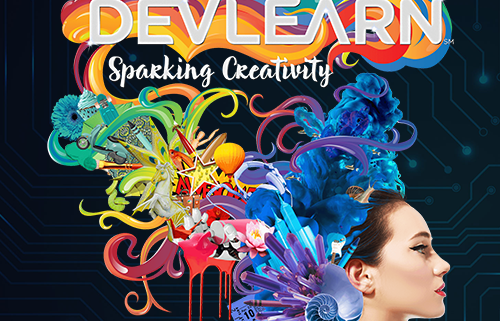 This session promises to show how to apply seven simple techniques in your eLearning projects to boost your learners’ dopamine and enable them to learn more effectively. You will discover how to leverage scientific knowledge of the neurochemical dopamine, which is linked to the reward centers of the brain to deliver learning that maximizes retention and desired outcomes. This session is a case study of how Samsung Electronics America implemented its VR learning strategy in just three steps. In this session, you will explore the world of virtual reality for learning. You’ll examine the different VR hardware and platforms, and the technical requirements to implement VR in your organization. Most importantly, the session description says that participants will learn about best practices and the expertise your organization needs in order to implement this technology. In this session, you’ll learn how VR can be used for learning, especially in a corporate environment. You will gain a solid foundation in understanding what VR is, what equipment you need, where to find free learning resources, and how to develop your own content. You will also learn about the experiences and lessons learned from using VR for learning at the Nokia Corporate University. In this session, you’ll explore wearable technologies like the Fitbit, Spire and Apple Watch. You’ll discuss new emerging trends and how to use these tools to enhance learning and development approaches. You’ll also take a look at how you can use these wearable technologies for an important goal: improving performance. I encourage you to attend this session on the final day of the conference. Mathias is a compelling speaker who will motivate you to continue learning about performance improvement long after the conference ends. We kick off this session with a case study from a successful medical device product launch that used games throughout a phased curriculum. Then, we discuss what sales enablement learning objectives lend themselves best to a game-based approach and identify what good game design looks like. To learn how to design games that appeal to target learners, participants will use a worksheet to craft learner personas that are similar to the buyer personas that marketing departments create. The session ends with seven implementation tips you can put into practice when using games for learning.